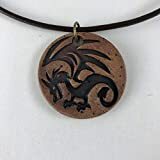 This dragon pendant is handmade by JaysClay. Each unique piece is handmade with stoneware clay and kiln-fired. The 1.4 inch pendant is hung on an 18 inch leather cord with a bronze lobster clasp and 2 inch extender. 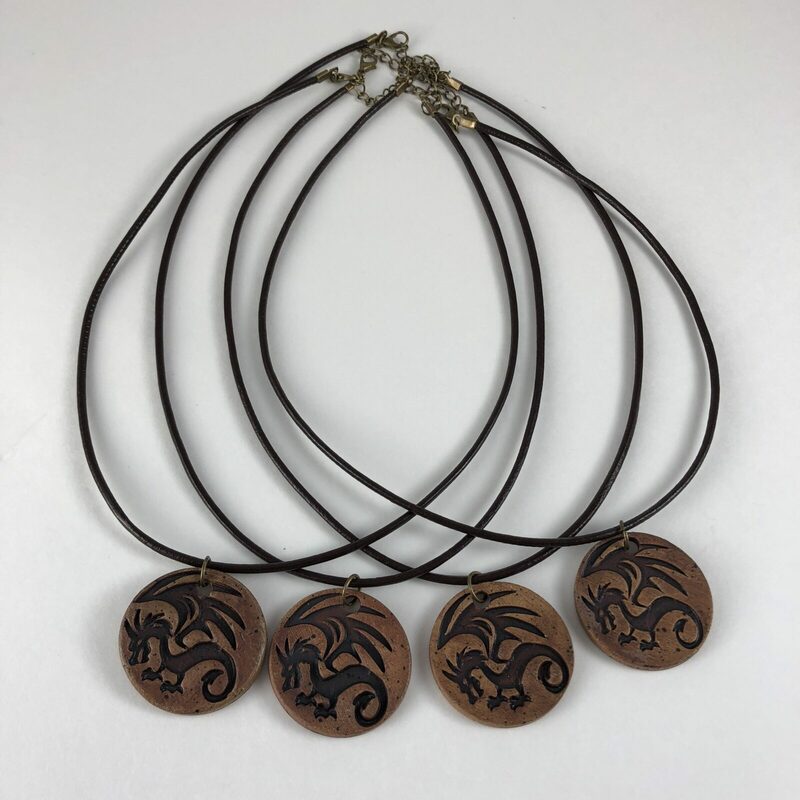 Its simple rustic design makes it perfect for a man, teen or woman in your life. The earth-tone color palate coordinates with many styles and outfits. This jewelry is packaged in a gift box.